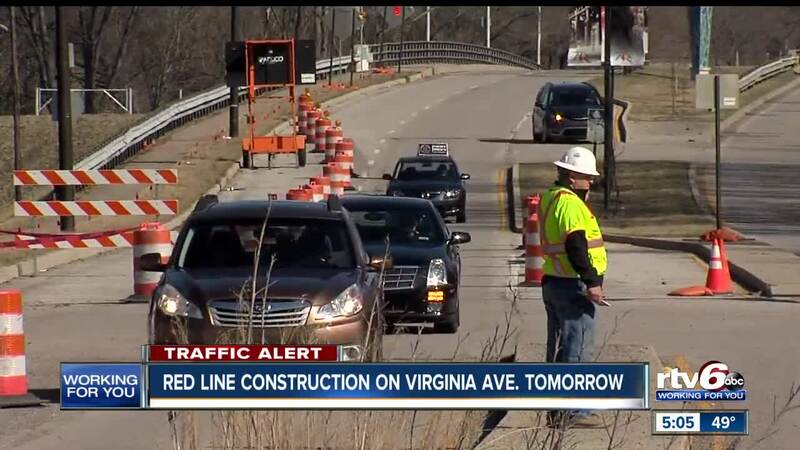 Traffic Alert: Red Line construction on Virginia Ave. Tuesday. INDIANAPOLIS — On Tuesday IndyGo Red Line construction hit Virginia Avenue downtown Indianapolis. According to IndyGo, pavement patching and paving is set to begin and will last two weeks. If traveling along Virginia Avenue, expects traffic shifts around the work area and possible temporary lane restrictions. It might also be a good idea to map out a different travel route altogether.